How to integrate your Aweber newsletter into your blog? Eventually, a growing blog or site must include an email newsletter component to stay relevant and keep their followers. Running a great email service whether paid or free requires a good piece of software to keep all of the moving parts in place. Aweber is the email autoresponder program of choice for many webmasters for many reasons. Here’s a quick guide on integrating an Aweber newsletter into your typical blog or site workflow. It goes without saying that you’ll need to sign up for an Aweber account. The base paid level will run you about $19 per month and allow you to reach 500 followers with unlimited emails per month. Whatever level of support you feel is good enough, it’s always affordable. The main thing is to sign up and get the account solidified beforehand. Every CMS from WordPress to Joomla to Drupal has a plugin that will integrate your Aweber account like greased lightning. You just need to add that plugin to your CMS and pop in your credentials while installing said plugin. It’s pretty much that simple. Every CMS uses PHP or more commonly Python to do the magic behind the scenes. The configuration is generally left up to the client in charge of the site. Merely adding Aweber to a site is never good enough. Ordinarily, you’ll need to add a sign-up form as well as a matter of course. This part isn’t really easy too easy to advise on since there are so many ways to dicker with said sign-up forms. Perfecting the right email form comes down to A/B testing and an eye for analytics where it counts. Every CMS and email autoresponder like Aweber will let you mess with CSS and add themes as you see fit. Making your autoresponder email sign-up form jive with your site layout will help to reinforce brand identity. Try to rely on CSS rules rather than graphics to ensure that page-loading glitches don’t occur when people try to sign up for your newsletter. Once you’ve gotten Aweber set up with your newsletter, it’s time to think about analytics and tracking the real data. Aweber has great analytics in and of itself. You can also use Google Analytics to keep track of things. Failing that, a third-party solution like Piwik can work wonders. Whatever you choose, keep tracking the data in real time and crunch the numbers via spreadsheets. Integrating an email campaign with any kind of site or blog is easy. Any person with a modicum of technical skills can do it. Going with Aweber is the easiest way to get a newsletter off the ground instantly. They make tacking a great newsletter operation onto an existing site a real cinch. The preceding information should make the process a tad easier. This entry was posted in Guides on April 25, 2016 by WHR. 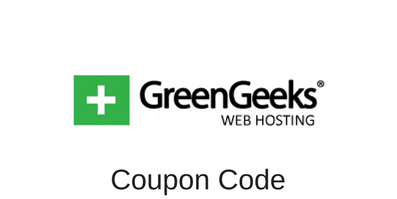 Get 60% off on your GreenGeeks web hosting plan today with this GreenGeeks coupon code.